I decided to do this when I was on a walk a few nights ago. I've been wanting to write stories about games for a while now, and this game seems like a good start! What I mean is: I've always enjoyed taking the dialogue and scenery of a game cutscene and writing it in text format. This allows for me to add embellishments to make the scene more vivid to those reading. As a gamer, I love to actually PLAY the games for myself. As an aspiring author, I want those who haven't played these games (or have) to be able to enjoy a very engrossing experience. Anyone who's played a game knows that occasionally the lines between player and character become blurred. Watching an LP on YouTube is an excellent way to get the story of a game, but in my opinion, it makes you feel sort've "detatched." If a game has the potential to pull you in, you DESERVE to be pulled in! You deserve the chance to step into the protagonist's shoes and experience what's going on. This story seemed like a good idea when it came to me, and I'd like to share this game with some people who might NOT know it. For my first one of these (hopefully more to come) I chose the beginning of Mega Man Zero. The first game in a cycle of 4, it lacks a bit of the finesse that other titles in the series acquire. But this leaves more room for interpretation, in my mind! I will be using characters from Capcom's Zero series and their actual dialogue in this story. I will be adding quite a bit of my own content and imaginings as well. Also: I'm sorry this is so long. I didn't want to cut up the beginning, and it ended up being a LOT longer than its less than 10min game counterpart! I can't remember. Maybe I never actually knew. But this darkness...It's so vast. I can feel it pressing in around the corners of my mind, quelling my thoughts, snuffing out my self-awareness like a breeze does to a flame. I can't feel anything. Just a disembodied mind in the blackness. No physical form to call my own. How long have I been wandering alone in the dark? Days? Months? Perhaps years? Have I always been in this place? It doesn't feel right. Something is wrong. I'm not supposed to be here. There's a glimmer of a memory. A blue figure smiles at me. We must've been close, I feel. Then another fleeting glimpse of something else. A glass door closes over me, and I see monitors and high-tech machinery, lights flashing and numbers on a screen. I close my eyes. And now I'm here all over again. I try to hold onto the memories, but they slip through my mind like fish whisking past in slivery flashes until they're all gone again. Vanished upstream. I'm left with nothing. "Is this it?" asks a gruff male voice. The man is in uniform green. He wears blue goggles over his eyes, and black garments on underneath his vest. His green beret covers it, but he has spiky brown hair. He's breathing heavily, as if he's just run a long way from something. A group of similarly-dressed soldiers file in. At the fore of the group stands the speaker, head tilted upwards at a massive doorway. The wiring is fried from years down in the cold, damp lab, but the structure itself remains intact. It shines with metallic radiance as light filters in through holes in the ceiling. A large, circular lock that might once have had a passcode takes up its center, and pipes spiral out from there; pistons attached to the edges of the frame that might've once opened it up. Water has collected on the floor at a height of almost half a foot; its murky sludginess coating the soldiers' boots with algae and debris from parts of the jungle outside that made its way there. A female figure pushes her way to the front. She has long strawberry-blonde hair that comes out the back of her helmet in a long ponytail. Slightly different than the green-clad soldiers, she wears a pink uniform vest and skirt with black underclothes and has two white, oval-shaped pieces of armor covering her cheeks. She carries herself with authority to the front of the group, her stride never betraying her fear of the inevitable pursuit. This was to be the last hope for the Resistance. If the sources were true, a great ally could be lying in wait behind this door; one that could win the war against Neo Arcadia and make the world safe for Reploids once more. It was her duty to save everyone. Her responsibility. Her mistake that had cost them so much already. They had to win. The soldiers all took aim and began firing in unison. The sound was deafening as the flashes of light lit up the room even brighter. The whole group seemed rigid with fear. Just then, a straggler can limping up to the group. The girl ran towards the wounded soldier, grasping his shoulder. The other soldier left the door to be by her side, face contorted with tension. "We couldn't hold them off any longer, Miss Ciel," he sputtered. A bronze-red oil leaked from where his arm had been blasted off, and there was another gaping hole in his chest. Complex circuits could be seen sparking within his frame, and he was twitching uncontrollably. The soldier's eyes were clear, though, and he seemed to understand that he was going to die. He must have accepted it long ago. "You did what you could. Thank you." Ciel rested his body against a wall with the help of her subordinate. They were both covered in green water from kneeling as they looked back towards the doorway. The Reploid soldier took one last shuddering breath before he went still as the sounds of gunfire continued to fill the room. Down the corridor the swish of moving water could be heard. The girl's eyes widened and she shot a look at the brown-haired soldier. "Quiet!" he barked. They all fell still, looking down into the green water; breathing hushed and eyes wide with terror. Ripples came towards them and silently died against their legs as they collided, creating smaller counterparts in opposing directions. But none of the soldiers were moving at all. Machines burst through parts of the ceiling and from down the hall; robots shaped like men with blue-and-gray armor and a lone, glaring red eye. Drones with purple blades for wings buzzed overhead, small insectoid creatures burrowed from mounds in the ground, and a huge white mech with enormous fists hell-bent on crushing thundered towards them. The surge when the robots hit the soldiers pinned against the door was too much, and it gave way with a mighty crash. Many of the small group of green-clad soldiers were crushed or blown apart in the onslaught; mangled arms and legs floated lifelessly along the soaked floor's constant coat of grime. Gunshots echoed in the empty halls as everyone poured into the room, firing barrages of light at the mechanical nightmares in pursuit. The crushed remains of fallen Reploid soldiers littered the entryway, the dark oil turning the water shades of black and filling the dank air with a chemical smell. It was over quickly. The large mech could not fit down the narrow corridor, so it abruptly ended the chase, seemingly thwarted. It whirled around, crushing smaller robots in its haste to reach the surface once more. By the time all of the robots were destroyed, the entirety of the small resistance group of Reploids lay broken or dying, with only Ciel and the first officer still intact. They lowered their weapons and sunk to the floor in exhaustion. "We can't do this anymore," the green soldier snorted angrily. "When the next wave comes Ciel, we're both going to die. I hope your dream was worth the chase, commander." He stood up and stalked towards the carnage, kicking remaining parts of the enemy robots and swearing under his breath. He wasn't usually one to be so short with authority, but the carnage had obviously shocked him. Ciel stood up and walked to a dark alcove. She reached for a tiny capsule on her belt and pulled it off, unscrewing the top in a familiar motion. "Passy," she breathed, "What should I do? What if he's not here...?" A light flew slowly out of the capsule and solidified into a small, humanoid being. As tiny as she was, her small form shimmered with energy like heat waves over metal on a sweltering day. She wore cherry-red armor with two long metal prongs sprouting from her back like wings and two tiny yellow spheres on both sides of her head. A tuft of light-colored hair peeked out from beneath her helmet, and she smiled at Ciel with the kind of certainty that only the strongest of friendships could endow. "I can feel him, Ciel." She had such a small voice, her dark eyes glittering as they looked over the room in a cursory way. "You know your dreams are my dreams, too." "Passy..." Ciel wiped away a tear. Turning towards the officer, she commanded strongly, "Milan! Passy feels that he's around here. Help me look." Grumbling, Milan began patting down the walls for secret switches, buttons, or levers. Ciel held Passy aloft as the tiny creature closed her eyes and tilted her head as if trying to hear a very high-pitched sound. They continued like this for a few minutes. Eyes flying open, Passy alighted on a small glass globe in a darkened corner of the room. Ciel and Milan rushed towards her as Passy generated energy to open the door. The globe lit up, and a secret room revealed itself from behind a console, raining particles of dirt from the edges of its hidden crevices. Ciel, Milan, and Passy moved into the silent space. The water was in this room, too, but it was much warmer here. Light shone down in shafts towards the center of the floor, illuminating floating dust motes and a prone figure kneeling there. He was hunched over with closed eyes, tubes sprouting from his back like roots and hooking up to a massive supercomputer that dominated one corner. The arms were broken, cracks spidering their way along and up the sides, and red armor that adorned the body must have once been bright and clean but was now covered in algae and grime, faded by the uneven exposure to the sun over the years. A long swathe of matted blonde hair fell and covered one side of his face. Everything seemed to stand still, the only sound to be heard being the breathing of the three newcomers. Finally, Milan decided to break the spell. "This must be..." his jaw dropped in awe. Ciel shifted and started forward very slowly, Milan and Passy close behind. She approached the figure warily, wanting to reach out but afraid that it was just a mirage; a beautiful illusion of a powerful dream. "This must be...Zero..." She breathed in wonder, daring to believe. Everything that they'd heard: rumors of two powerful Reploids who led the world into peace an age ago...they must be true. There really were two of them. But why hadn't he told her that it was true? To protect his best friend? Or to hide him? "We found him at last!" Milan shouted triumphantly, reaching towards the still form of the red Reploid. Multicolored light suddenly flared to life around the body, shocking Milan and sending him sprawling into the water. As soon as it had appeared it was gone, once again invisible. The look on his face was complete bewilderment. "It's protected," Passy said flatly, trying to keep a straight face. Ciel couldn't help but snicker. As dire as the situation was, the small group still had it in them to smile. "What should I do?" Milan asked, standing up quickly. He had obviously recovered from his initial shock, and was circling the prone form on the ground, prodding the edges of the barrier gently to test its limits. He kicked the barrier angrily. Without warning one of the dying Reploids by the large doorway let out a scream of pain. The three whirled around and looked out to see a swarm of blue robots filing into the secret room, at least a dozen man-made killing machines. Guns clicked as their glowering red eyes focused on the three targets. Some seemed slightly confused as to whether or not the figure on the ground was a threat, and this sent a ripple of hesitation down their ranks; gun sights switching from the intruders to the red figure. "Watch out!" Milan shoved Ciel behind him, Passy at her side. With a heavy sigh, he lifted his gun, setting his shoulders firmly. His tone hardened. "We're cornered! We have to evacuate now!" "But..." Ciel glanced at the Reploid on the floor. If only Zero wasn't so broken...He was in no condition to be activated to help them, now. Milan began firing precise shots at the eyes of the robots without warning. Ciel was too shocked to speak, and just stood there, numbly. After all they had achieved in the past eight years...The idea that this was where it was going to end had turned her very human blood to ice. They were going to die here. "We can't-" she began. "We have no time to argue!" he shouted, rushing forward. He took out several more before a robot clipped him in the shoulder with a bullet, causing him to fall backward and sprawling onto the ground near Zero's prone form. More robots began firing at him, sensing the threat, peppering him with gunfire as he lay on the ground, unable to move. "MILAN!" Ciel ran towards him, flipping him over and holding his head up in her lap. It had all happened so fast! His chest was riddled with gashes; sparking bursts and bronze-red oil leaking from various wounds. He smiled at her, managing to reach up enough to place a reassuring hand on her shoulder. Passy begun to cry softly overhead, burying her face in Ciel's hair. "You can do anything, Ciel. Anything you really truly believe in." The light left his eyes and his head lolled to the side. Dead. Just like the others. Passy wiped a tiny hand over her eyes and put on a resolute face. Glaring at the mass of robots that didn't even see them as a threat - guns aimed but not firing - she steeled herself. "Ciel." She tugged on her friend's hair. Ciel was in shock. She didn't move, just sat there silently with wide eyes looking at nothing. "CIEL!!!" Passy shrieked. Energy was humming in the air around her, amplifying her voice. "Huh?" Ciel mumbled, staggering upright. She seemed to notice the blue robots for the first time all over again, and raised her own gun, self-preservation kicking in. The robots' weapons clicked and locked on, whirring noises filling the room. Passy flew in front of Ciel's gun, pushing the barrel downward. "You have to use my power!" she shouted to be heard over the noise. "You have no choice!" I know I can hear voices, now. I can't see who they belong to, but the endless parade of silence is finally at an end. My mind thrums with restless energy. There's something out there. Someone NEEDS me. I'm not sure how I know, but I just do. I try to move...something, but I feel detatched. I don't have any control. I still my speeding thoughts and focus on what is being said. It's like a dream; where you know what's happening but you are relentlessly carried away by the tide of images and sounds. It's only when you wake up that you remember what happened and that you could've DONE something. I need the power to help, but all I can do is listen. "You should use my power!" "You have no choice!" The first voice. It sounds small, but full of something much stronger than determination. Resolve. "What!? Passy...if I do, you'll be..."
The second voice is hesitant. There must be an option worth weighing, here. "Remember, everyone is waiting for your safe return!" A pause before the answer. "No. I should thank you, Ciel. Goodbye..."
I'm so much more awake. The second voice is screaming, the world slowly fills with light around me. Particles like stars rain down into my darkness, and a small creature appears. She gazes around the lightening grays of my mind and finally sets her sights on what she feels is most ME. I can feel her eyes radiating heat like two small suns. "Wake up, Zero. You have to save her. Save them, Zero." As she fades away, I'm blinded by the radiance she's leaving behind. My mind flinches from the pain, pushing itself into the farthest, darkest corner it can find. From somewhere deep inside, I ask a question aloud. I know she's gone, but I do it anyway, if not for her, but for myself. I don't know how I thought this, where it came from, but it's THERE. "I always need to save everyone from MYSELF, first." I open my eyes to see a decrepit laboratory and a swarm of mindless drone robots staring me down. There is a girl behind me, sunken to her knees in the fetid water that's pooled on the floor. The sound of weapons charging for a shot deafens me, a constant whirring that fills the small space. Casting my gaze about, my eyes eventually come to rest on a fallen soldier grasping his gun in one hand, the other arm blasted apart around the shoulder. I'm contemplating how to cross that space to reach the weapon when the girl says quietly, as if to herself, "Zero...has been resurrected..."
The girl shifted forward, causing the water to swish and sending ripples cascading outward. "Zero? Help me. Please." This was just the distraction I needed. As the focus changed to the girl, I shot forward, somersaulting through the water and grasping the gun in my left hand. I knew I had to protect her: she was responsible for bringing me back, somehow. This much I could guess. I owed her a debt, at least. So I targeted the eyes of the robots in my sight and fired off beams of light in succession; bursts of plasma that disintegrated them and blasted their metal frames to pieces. I'm not sure how I knew to shoot there to hit the cores, and I was beyond asking at this point. So I grabbed the girl and urged her into a run, pulling her the first few feet as we dashed over pieces of metallic debris. The next room was an awful sight, but somehow I knew I'd seen worse. Fallen Reploids littered the floor in the shadow of a massive doorway. The door itself was gone, the Reploids just pieces littered about in the water. About a dozen more of the blue robots filed in through the massive broken doorframe, but I dispatched them just as easily as the first set. The girl covered her eyes and dashed forward through the opening. Perhaps, I thought, she is stronger than she seems. "Zero!" Came a call from somewhere down the hall. The girl was standing around a corner, gun raised at her side. Her face was set in a determined grimace. "It's this way!" As if I wasn't familiar with this place...Somehow. I ran to catch up to her swift pace. Suddenly I stumbled, pitching forward into a wall with a metallic clang. Hearing the sound, the girl doubled back. Reaching me, she asked alarmed, "Are you okay?" Shaking my head to clear the dizzying sensation, I nodded. Pushing her forward, we started running again. I felt slightly...off, my body not responding as it should. The influx of images slowed in my mind, and I ignored the rest. Best not to let anything like that happen during a fight. Those robots that had attacked earlier could come back in force. Now wasn't the time to be weak. Coming up against a wall, we had to stop. "What!?" The girl stepped forward, touching the metal surface and possibly looking for a switch or a lever in the half-dark. "It's a dead end..." She turned back towards me, thoughtful. "What should we do...?" She trailed off, the sound of her voice quickly swallowed by the massive hallway. Suddenly the ground began to shake. Her blue eyes grew wide with surprise as the floor beneath her gave way, collapsing with thunderous appeal. I dashed forward as quickly as I could and grabbed her, supporting her as we both fell down into a dark pit far below. The impact with the ground was jarring, and my knees buckled but somehow I remained standing. The girl scooted out of my arms as if she'd been singed, and I leaned heavily against the wall, more shocked by all the recent action than tired. "You..." She gave me a thoughtful glance, almost as if she were comparing me to someone. She didn't seem afraid, just surprised that I might do something like that without an apparent second thought. I thought she was going to say that I saved her, but I'm pretty sure we both knew that already. "Thank you." I stood back up and stepped up to her side. I must've looked confused in some way, because she gestured and said, "This place seems to be a pre-historic laboratory." Mumbling, she stepped forward gingerly, testing the ground. I had to give that a half-smile: I had already scanned the floor for any signs structural weakness. "...we may be able to find a Trans Server, which we can use to go back to the Resistance Base," she had been saying. Walking forward slowly, we climbed up onto a ledge above the line of the water. Lights flickered brightly on the ceiling here, and we left behind the shadow of a massive bay door and leaky pipes to find a huge console next to another hall. The passage was choked with debris. "How nice..." She frowned, shoving at the pile of rubble and machinery. "This passageway has collapsed in." I'm guessing it was her attempt to lighten the mood, now that we seemed to be in the clear and out of the muggy humidity of the upper levels. Suddenly, I saw a subtle shift in the rubble nearby. "Stay back!" I called out, alarmed into finally breaking my silence. A massive mechanical arm reached through the debris, snatching the girl and pulling her down the hall quickly. To her credit, she didn't panic; just yelled in surprise and began kicking and thrashing as she disappeared around a corner. Tingling with newfound energy I dashed off in pursuit, leaping over pieces of scattered stone and masonry. After a few paces, I found the source. We were in a fairly small room that I could assume was the housing for the main central console for the entire facility. A large floor computer covered the left wall, and by the ceiling above it hung two large monitors. The apparent years hadn't been kind: the left monitor was a broken mess, a large Y-shaped crack scored across its center with smaller fractures spidering outwards. The rightmost monitor was unscathed but coated in a thick layer of dust. Both still clung firmly to the wall. Beneath them, the main desk was cracked in half by the force of some great impact, only a small section seemingly intact. Colored lights of every kind had been broken and smashed all across, and parts of the machinery were strewn about the floor nearby. I turned my attention the the giant mechaniloid. Covered in a thick gray-blue and white armor shell it grasped the girl tightly in a huge fist. She struggled fitfully, but it had her arms pinned in its palm. When she realized she couldn't free herself that way, she bit down hard on the fist. That was surely the second time she'd made me smile a little, I had to admit. I took the chance to do a quick scan of my opponent. The thing itself took up most all of the room we were presently in. It's detachable arms were linked to the fists by massive black pipes that could be retracted or elongated at a distance of potentially fifty feet, and I'd already witnessed their speed firsthand. The chest of the mechaniloid was dominated by a giant grill that radiated red light and heat: this presumably powered the two thrusters that allowed it to hover a few feet off the ground. I could see a door behind it. My assessment was cut short as it turned its flat white gaze on me in the entryway. The girl had spotted me as well. "Zero! No!" She shouted as I trained my gun on the giant robot. "Run! You can't damage this thing with a Buster..." She trailed off. Most likely because she realized that I wasn't listening to her. It's not that I don't believe in no-win situations. I just didn't feel like this was one of those times, and I couldn't afford to think that way, either. The mechaniloid rushed me, smashing its unoccupied right fist into the wall where I had been standing. My assessment of its speed had been correct, and I knew I was much faster even in my semi-weakened state. I started around behind it and grappled onto its arm, swiftly climbing the shoulder to stand by the head. The size of the room was inhibiting its actions and causing it to be more sluggish, so it was a few moments after I began shooting at the armored helm that it retracted the fist from its home and charged the wall. I jumped off with seconds to spare, having predicted the motion. The thing drove hard into the wall, causing the room to shake and dropping huge chunks of plaster from the ceiling. I should have anticipated that the room's infrastructure would be unstable, but in my current state I was still somewhat disoriented from the sets of images overlaying this place in my memory. I sped around the rubble just in time, missing being crushed by a few inches. Kicking off a block that had fallen, I vaulted across the room to where it was slowly turning around. If I couldn't destroy it, I just had to get the girl from its clutches. "Zero! What're you-" She exclaimed as a grabbed onto the fingers that held her firmly in place. Understanding dawned on her and she began struggling again, rolling her shoulders to try and free up her arms. I planted my feet on the second finger and wrapped my arms around the first, throwing my head back and pulling with everything I had. The mechaniloid seemed to realize what was happening. Destroying me was not it's primary function, it was obviously just here for the girl. But as an obstacle that stood in its way, I had to be removed somehow before it could continue with its mission. Swinging with brute force it crushed me against the wall. I had pivoted at the last moment, placing my right arm to my side to take the force of the hit, but the effect was instantaneous. I smacked the wall with such force that I sunk into it, fissures erupting from the stone and out from the point of impact. When it pulled the fist away, I fell to the floor with a heavy thud, vision blurring. The mechaniloid ran a cursory eye over me before it began to turn away, the apparent threat subdued. Struggling into a kneeling position with my broken right arm hanging lifelessly at my side was a chore in itself. Cracks in my armor covered the right side of my body like the bottom of a dry riverbed, and black spots danced in my vision. Using the wall for support, I stood up fully and took a step forward. I was not going to be beaten like this. "Rats!" I huffed. I don't get off on being the most creative with curses, even in the best situations. And this was certainly NOT the best of situations. I glared at the back of the mechaniloid furiously as it ignored me. It's not over until one of us is destroyed, I thought grimly. And I'm still standing. Suddenly there was a whisper. It was as if a voice were calling from a deep well, echoing cavernously; but also muffled similar to sounds after a snowfall. The force of the sound was powerful as a shout, but the tone was as if whoever was speaking stood right by my side. I stared into the monitor and strained to make out the words. The sound was static and psychic. I'm not sure how exactly I knew, but I was certain of it. And the voice was one I knew. The memory fluttered silently from my reach, and I was certain that whoever the voice belonged to knew about my past; knew more about me than I ever could. I strained to make out the words, baffled at my reaction. A bewildered "Huh?" was all I managed. Ever so affluent, I know. The voiced seemed strained with effort, but I finally began to pick up the words. "...USE THIS...ZERO..." Light manifested in front of the monitor in a blinding flash, coalescing into a cylindrical form and flashing through the air to land embedded in the tiles beside me. "Who are you!?" I asked gruffly. I was caught off guard by my emotions moments ago, but now I was wary. Staring at the silver hilt of a sword - no - my saber protruding from the floor beside me, I reached for it with a sense of déjà vu. How did all this feel so familiar? There was an audible sigh as the voice seemed to lose power, and the tension in the air slowly began returning to normal. I quickly realized that whoever the voice belonged to had used up all their energy to give me the weapon, but that also meant the mechaniloid would soon be coming out of its paralyzed state. Seemingly ignoring my question, the voice replied, "HURRY...YOU HAVE TO...SAVE HER..."
I nodded in understanding, withdrawing the saber from the ground, green blade flashing in an arc as I pulled it to my side with my left arm. I could imagine the owner of the voice smiling. "DON'T WASTE TIME..." it said before fading with a crackling pop. The image on the screen disintegrated and went black once more. Reassessing the threat, the mechaniloid had turned towards me and was charging up a green sum of energy in its maw. I noticed that it lifted its helmet to do this, exposing the weaker core beneath. Rolling off to the side to avoid the searing blast, I kicked off the wall and flew straight for the head of the giant. It was gathering more energy as I swung my blade in a deadly arc, connecting and sawing the head clean off with one swipe. The hand that clutched the girl immediately loosened its grip, dropping her unceremoniously to the floor with a startled gasp. I fell heavily to the ground afterwards, but I knew what was coming next. The surge of energy the thing had collected no longer had and outlet. I dropped my weapon and used the last of my power to get up and reach her in time. I managed her push us both up against a wall, shielding her with my body as the giant robot exploded in a blinding rush of heat and light. But my world went black. Wow, that was awesome! I want to read it more! I enjoyed it as well, and since the first Zero game is the only Zero game that I played, it was fun to remember back and compare the game to this. You captured it so perfectly Chibi! ;u; I loved Zero's perspective. I love you guys °^°I'm glad you all enjoyed it! Maybe 2 more supporters and ill do more? ;3 It took quite a lot of effort, actually, so I'm glad y'all appreciated it! I'd really love to do more for for you guys, though. Hence why I made it its own thread. @Rox: The Zero series has an awesome art style and the plot thickens a lot in the second game. Battle Network is my favorite, but I love how dark the Zero series is. It shows how much things can change, even in just a century! I really liked the way you've described Zero's perspective. 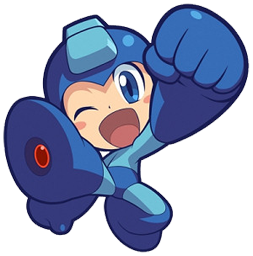 I know little to the Mega Man universe, so it was quite thrilling to embark on such a journey with Zero. Passy looks different from what I actually imagined her to be like. Its really mysterious as to whom the voice is speaking to Zero, and Ciel questioning why Zero was kept hidden from her and why. I kind of felt bad that Ciel's comrades had to die, but I hope Zero can protect her in their place. This was really well detailed and flowed nicely to read. I hope you do choose to continue writing more about it! Since you ended on a cliffhanger. Although, it could standalone as a one-shot too. Alright! That makes 5 people, so I'm for sure writing more, now! Yay! @Kat: I'm glad you liked it, and I appreciate the critique. All of the Cyber-Elves like Passy look different from the Reploids and humans, and drone robots are even less personalized. I'll provide pictures as the story goes on so you can compare. The artwork for the games is fantastic! Now, anybody who knows what's going on: please don't spoil it for anyone else. I definitely noticed but I find them a nice touch. Zero isn't as expressive in the Zero series as he is in the X series (for reasons we both know) so it's nice to see. Well, GOOD! I'm going to make sure they have the personalities that future games in the series give them. It's kinda hard to be this Zero; the cynical and serious one. I would prefer to be the serious but upbeat one from the X series that really BIEVES in others. This one...Well, let's just say that time changes you. [/SIZE]Well, GOOD! I'm going to make sure they have the personalities that future games in the series give them. It's kinda hard to be this Zero; the cynical and serious one. I would prefer to be the serious but upbeat one from the X series that really BIEVES in others. This one...Well, let's just say that time changes you. I think you can make Zero more upbeat as he is in X series but progressively. His memory is a bit lapsed for a bit of the Zero series so it'll have to come back to him. Also you still see his belief in others although I admit it's only at it's most pronounced at the end of 4. 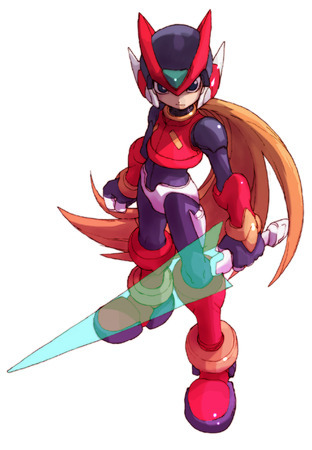 I think another thing to keep in mind when comparing his personality between X & Zero is his age. By the end of the Zero series Zero himself was very old by our standards, anywhere between 200 to 300 and for the entirety of his life he fought. By the time you get to the zero series and his memories back (more or less) he's just very tired I think. I suppose I could. I mean, I've already proven that he has a sense of humor, albeit as dry as it is. He DOES remember bits and pieces, I'm sure. But Zero is s always so focused on helping others that I'm sure he's the kind of character who finds the past pales in importance to the present. But you make it sound as if I'll have all 4 games worth of time to change him (I know that's NOT what you said or purposely implied), but doing all would be a pretty massive undertaking...I'm not sure I'd be ready for that. HOWEVER! I'd like to make Zero more like that, and I'd like to do a story for Ciel and her origins, possibly. Maybe one with Harpuia and the Guardians involved. What you think? Well, he must be a little over 200, by this point. I know X got tired, too. The main reason he stepped down to...you know (I'm not gonna say for those peekers), was actually because he was sort've sick with himself. He hardly thought anything of destroying enemy Reploids after a time, and that appalled him. So he thought he'd make the best sacrifice. Exactly and like X, Zero would also be tired, especially with his centuries of guilt added onto that. Well I'm sure their ages are defined somewhere but I don't know where. It really depends on how long X series lasted because we already know they was sealed at least a century by their makers and that there was another century between the elf wars and MMZ1. I'm sorry this took so long, guys. I've been really busy with trying to get my new job, and I haven't had the money for gas to head to the library and type. I promise it'll pick up in action soon, but for now: here's Ciel's home. I swung my feet down off the side and they landed on the floor with a satisfying thump of black rubber soles. Their traction helped me to climb walls, and I was pleased that I remembered as much even without performing the act. Throwing my arms out before me, I tested their strength. My right arm had been repaired from the battle somehow; the cracks along that side mended. Both the gun - she had called it a Buster? - and my Saber were missing, though. All in all, I seemed to be in perfect shape. My head was clear now, so I must be in an unfamiliar place, as that was the only assumption I could make at this juncture. 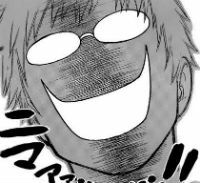 The sluggishness that had plagued me during the battle seemed to be gone. But what had happened afterward? How had I gotten here? More to the point: where was here, exactly? I stood up and slowly walked across the small space, listening carefully as I approached the door. I heard nothing unusual: in fact the only sounds to be deciphered were mechanical and not of natural origin. I assumed I must be in a basement of some kind, or the walls were soundproof. Upon reaching the threshold the sides slid into the walls; opening the entryway in a rush of cool air. Two green-clad Reploid soldiers stood guard outside, snapping to attention in surprise at my sudden appearance. One automatically reached for the Buster on his belt, while the other shot him a pointed look before resting his gaze on me. "I see you're awake, Mister Zero," he nodded curtly. "Our commander is waiting for you. I'll be escorting you, if you would please follow me." The less perturbed soldier seemed to be the one in charge, so I nodded and followed him to a small lift elevator in the center of the hall. The entire building seemed run-down and slightly empty-feeling; cracks scattered about adorning the walls and a dusty smell permeating the air. The other Reploid had stayed at my door, most likely to check the room once we were out of sight. They didn't know me, and these Reploids seemed to be on edge; skittish, even. I suppose precautionary measures had to be enforced, but for the moment I meant them no harm. There were no doors on the elevator, but the walls closed in on us all the same; trapping us inside. "I'm sorry if I was so abrupt," the soldier said stiffly. "But the commander wanted to see you as soon as you woke up. I was asked to give you these." He holds out his gloved palm face-up, and cradled inside are two chips. I take them and run a quick scan of their contents. It appears to be weapon data of some kind, and I immediately think of the Buster and Saber weapons I'd had during my escape with the girl. I nod in thanks to him, unsure of what to say. Their leader seemed to trust me enough to give me weapons inside of what was obviously their base. It left very little guesswork in my mind as to who that person might be. I put one chip in each of the triangular white holsters on my legs. I can only carry these two, for now, I noted. The elevator made a groaning sound as we steadily rose upwards. We stopped on the second floor: so judging by that information I could easily tell that the majority of the base was underground, being as we had started on the fourth and from the sounds I hadn't heard earlier in the previous room. Bumping to a halt, the lift gate opened noisily. The soldier saluted me and stepped aside to reveal a short hallway with a single door at the end, the light blue word DATA painted hastily on the wall next to an arrow. I walked off easily and went straight to the entrance, this time anticipating that it would open automatically. Above the door was a plaque reading CMD, which must be short for 'command.' This must be the center where orders were issued. The room inside was a bit lackluster for a commander's post, but I had come to expect that from this place. My gaze was immediately drawn upwards towards a ladder in the center of the large room. Just beyond it were perhaps half a dozen smashed monitors, each one larger that any two adult humans. None of them were new damages, so the base must've been like this for some time. I doubted there were that many in this "Resistance" group. A door opened from the other side of the room. "Zero?" The girl from before came running into the space, but stopped a few feet from where I stood. She had cleaned up from our last encounter in both appearance and bearing, and I could see her Buster at her side. She clasped her hands together and smiled at me, if not somewhat nervously. "What happened?" I asked without preamble. I was tired of not knowing things. Completely understanding what I was asking, the girl beckoned me forward. "Let's go to my lab. It's just past this door over here." I followed her a few paces to a small hallway. At the end was a door marked Lab, which she entered quickly with a confident stride. Venturing inside, I surprisingly found myself in what was obviously her living quarters. There was a repair capsule for working on Reploids off to my left, and at the far side of the room was a small computer. A pot of coffee with an off-white mug sat beside it on the desktop, and it was all overshadowed by a bed hanging near the ceiling with a small ladder propped against the wall to climb up. I suppose I should've been embarrassed, but her obvious enthusiasm as she sat at the computer smiling was that of someone who didn't care where research was done: the results being the only thing that mattered. I leaned against the capsule as she began tapping away at the keyboard, blue eyes scanning the screen back and forth in quick flashes. Spinning the computer around to face me, she presented a picture of the mechaniloid I had fought to save her from, which had ended up causing my previous injuries. "Do you know what this is? It's called a Golem. They're sentinels that protect Neo Arcadian citizens in the event of an attack, but they're also used by the military as deterrents." I nodded in understanding. I had never fought a Golem before, but I knew I was no stranger to battle. I had obviously been built to do just that, and I was familiar with mechaniloids as a whole. I vaguely envisioned them being commonplace. She let out an exasperated sigh. "I can't believe you were able to destroy a Golem." Her words implied 'alone,' but she left it unspoken and chose to shoot me a curious look. Smiling broadly, she clasped her hands again. "We were right!" Her eyes shone with a mixture of scientific pride and awe. "You really ARE Zero; the legendary Reploid!" I just stared at her. All of this...I wasn't so sure. "Zero?" I asked, lifting my gaze to the ceiling. "Is that my name?" Best to stick with the basics. My head started to hurt and I felt dizzy again. "Ugh, I can't remember..."
Without warning, something in the conversation must've triggered the block on my memories. I grabbed my helm and doubled over in pain as images flashed by. I couldn't pick anything out of it at all: it was just a jumbled mess of information that I had no idea how to access. But that name - it was familiar to me. That's what had done it. She rushed over to me but I put a hand up to stop her, standing up again slowly. I'm sure my gaze was wary. I didn't know what to trust, and I didn't even recall who I was. Perhaps I was being a bit too cautious, but everything that I might have known could have changed: and I couldn't recall even that. The past was not very important to me for now though, it was just something I wanted to understand. I knew how to fight, but I wasn't sure what to fight for, exactly. Not yet. And THAT was in the future. "Just relax for a moment." She said calmly; palms towards the ground as if I were some feral thing. "You have hibernation sickness. I'm sorry for forcing you to wake up. And...Thank you for saving me." She took a step back and held out her hand. "My name is Ciel. I'm a scientist." I took her outstretched palm and shook it, to which she exhaled in relief as if she'd been holding her breath. I suppose she was worried I'd be angry, but as far as I was concerned we had both saved the other's lives in a way; making us even in that regard. But there was still something that bothered me. If I was this so-called 'legendary Reploid,' why didn't I know who I was? It seemed strange. I guess whatever hibernation sickness was could be blamed for that, and from the way Ciel said it I assumed it wasn't permanent. I'd remember eventually, I suppose. "What if I'm not the Zero you were talking about?" At this point I was just thinking out loud, hoping to shine some light on it all. She went back over to the computer and sat down. "After you protected me from the explosion you were badly damaged. I used the Trans Server to bring us back to the base." Her eyes took on a faraway look. "We had no means to heal you, but some of our Cyber-Elves volunteered to use their power on you..." She trailed off. "These Cyber-Elves," I began slowly, "they seem to have a lot of power. Is that how you originally...woke me up?" I was still coming to terms with the idea that I'd been dormant for some time. "Yes. Passy resurrected you. She was a close friend of mine." Ciel put a hand over her heart, as if it hurt her to talk about it. I remembered the figure I had seen just before I had opened my eyes, and then recalled the conversation I'd heard. I hadn't thought of those two things until now because so much else had transpired since. It was as if it had happened in a dream and I had to be reminded of the events to actually remember. And for my part, I guess it had. "Cyber-Elves fade away once their power is used. In a sense they 'die,' but they always leave a lasting impression somehow." She smiled sadly, and I was suddenly struck by how much of her recent pain had been a byproduct of trying to find ME. "Why would you go to such lengths to bring me back? You knew the risks, and you were obviously being pursued for some reason, so it was likely a rebellious action of some sort." I tapped my fingers on the case. I was slowly piecing together a bit of understanding from what little observations I could make, but the situation called for a full-out explanation. "Slow down," she chastised, surprising me. I stopped tapping. "As the commander of the Resistance, I would like to issue you a formal welcome." She took a deep breath to help gather herself, then gestured to the room as a whole and through that; the rooms beyond. "Welcome to our Resistance base, Zero. This is a shelter for injured Reploids who are suspected of being mavericks. We have fought so hard to survive..."
I was slightly uncomfortable at that, to tell the truth. For those unfamiliar, a maverick might seem like an ordinary Reploid. But the actual meaning of the term was to define that those Reploids had malfunctioned, causing them to disobey their primary programming and deliberately harm humans. 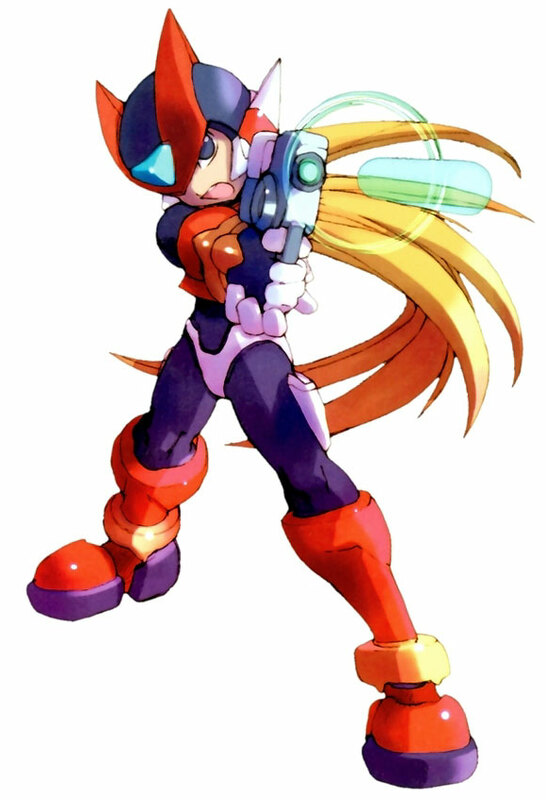 By any government standards being maverick was a serious offense and always led to the destruction or 'retirement' of said Reploids. I knew this information was important, and I was no maverick. The thought of harming humans appalled me, even if they weren't always the easiest to understand. But Ciel kept talking as if my personal opinions could wait until after she was finished. I supposed she was correct. Never form an opinion until you grasp the situation more fully. "...however, we know that the end is coming," she was saying. "That's why we have been looking for you. You are our last hope. Most of us thought that the legend of Zero was just a fantasy, however a few still believed in your existence and have searched for you." "I don't have any doubts," she looked at me oddly, clasping her hands again, "You ARE Zero, the legendary Reploid who fought alongside X to save the world a century ago." "X? That name sounds familiar." And it did. The sound of it rang like a bell in my mind. I was close to whoever this was, I was sure of it. "X..." Ciel seemed upset, setting her mouth in a grim line. "That legendary Reploid is still alive and he's trying to retire all of us." I was taken aback. This clashed strongly with the feeling I'd had before. "X is trying to...retire you...?" She seemed not to hear the disbelief in my voice, her gaze far away. "His plans have already begun. Many innocent Reploids are being retired as we speak. We need your help. Our future depends on you." "I need a moment to think about this, Ciel." She wasn't seeming to hear the doubt in my voice whenever I tried to interrupt her. "Of course. I didn't expect you to take all of my words at face value. Please, have a look around our base. 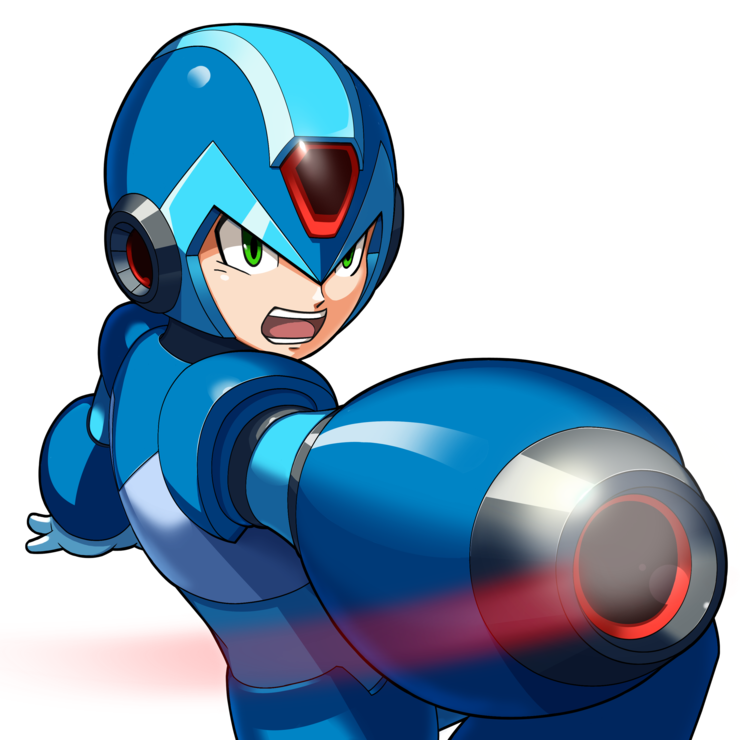 We're few in number, but the Reploids here all want to make a difference in the world." She smiled a bit sadly at me, as if she knew something impossible stood in their way. I nodded curtly to her and backed out of the room and back towards the command center. She had called the Reploids here "suspected mavericks," not actually confirming their status as such. Since Ciel was undoubtedly human and mavericks took some fierce joy in killing them: I highly doubted there was even a single defective Reploid at this base. Which left the leader of Neo Arcadia - X - and his decisions at fault. But this felt wrong to me, as well. Ciel was hiding something from me, of that I was certain. Getting back on the elevator, I was greeted by the same guard as before. He nodded at me somewhat respectfully. "I'd like to take a look around, if you don't mind," I said. "Is there anywhere I should avoid?" I was not taking an armed guard with me everywhere I walked. If I was a guest here I was not going to be treated like a prisoner. A test, you could say; in which his answer would give me information on my status. What did they think of me, here? I always tried to think a step ahead of everything that was going on, of course. "Of course you have clearance to see the entire base." He stepped aside and gestured to a control panel. "Press the lever to operate the lift, Mr. Zero. The base goes down to the bottom fifth floor, and then up to the city. We're protected by the façade of a warehouse, so please don't leave without the commander's permission. We don't want to be discovered by the nearby Neo Arcadian forces that patrol the area." With that being said, he left for the command center. I'd say he passed the test with flying colors. The only downside is that I couldn't leave the actual base itself for the time being. I decided to work my way from the bottom up. Some time later the elevator groaned to a halt as I stepped off and into the relative darkness. The room was enormous and must've spread far beneath the city we were situated below. The ceiling was hundreds of feet above, and the walls on all four sides were too far into the darkness for me to even see. The looming skeleton of a massive generator crouched in the background, presumably the city's old form of power now made obsolete by progress. Rust had gathered on the great turbine and the orange coating was cracked and falling apart from years of unuse. Smaller generators dotted the area to provide power to the base; their individual lights twinkling in the darkness like stars in the night sky. The area was entirely fenced off, but it was hardly a deterrent when your defense was riddled with holes. A few hundred feet further down was a small building. Curious, I approached it and waited for the door to open. There was a single Reploid inside, busying himself with some kind of welding project. Sparks flew from the workbench as I soundlessly stepped into the room. He had an orange visor covering his eyes, but no other protection from the fierce light cast by the torch. I shielded my gaze and walked forward to see what he was working on, carefully avoiding scraps of metal and weapons littered about on the floor. Busters of every shape and size adorned the sides, and a massive window that showcased the shadowed room covered one wall. A large industrial light lit up the space, and two complex computer systems took up the left and far walls. I look closer at what he was working on, the sparks of light shining and casting moving shadows on the walls. The Reploid seemed to be welding together a few plates of metal in some large cannon-like weapon. His craftsmanship is actually quite impressive; steady hands creating small circles to meld the two metal pieces together. When he spots me the light abruptly stops as he lifts the torch and flips up his visor, grinning widely. Remembering his dangerous tool, he switches it off and places it on the table. "Wow!" His face is weathered and his green lab coat full of burn holes. "Are you Zero? I never thought I'd get to meet you. My name is Cerveau. I'm the weapons master and mechanic." He holds out his gloved hand and I take it. "Is there any way I could trouble you for a moment?" "I'd like to see your Z Saber, actually. I would like to check something." He seems like a trustworthy Reploid. I would benefit from getting along with a mechanic like him, I know. So I materialize the weapon in my hand, getting a closer look at it myself. The glowing green blade is paper-thin and made purely of energy, vibrating at a certain frequency to allow easier cutting. Though not hot to the touch, this ensures that it would always be sharp. It's shaped like an isoceles triangle - also called a 'deltoid shape' in reference to weaponry - and with a white hilt and two feet in length from blade-tip to guard. Not that it had much of a guard, anyway. I hand it to him. He holds it like it's a loaded gun, but his eyes shine. "We believe that your Z Saber has unlimited potential for power-ups. It could also have an effect on other weapons depending on the combination of chips you use with it." He hands it back to me. "Your Buster can also be charged to shoot a powerful energy bullet." I nod to him. "Anything else you can tell me? I'm not sure how long it's been since I was last fighting, and I seem to know things that could be useful in battle already." "I know you've lost your memory, but you still have Skills." He doesn't sound sympathetic, just trying to be helpful. "You just need to find ways to recover them. Most likely you'll remember as you fight, so there's not much I can do to help you, here." He scratches his head. "I'm no scientist like Miss Ciel, but supposedly your memory had improved when you summoned the Z Saber?" I didn't summon it. It was given to me. But I don't say this, because Ciel had obviously been oblivious to the phenomena and the voice. I'm not sure what that means just yet. He grins widely, not knowing my thoughts are elsewhere. "Don't worry, I'm sure you'll recall events from your past life in time if you've already started to improve a bit. I've got to get back to work, but feel free to stop by if you need weapons appraised or information about anything of the like!" He puts a hand on my shoulder and then picks up his torch again, releasing me to pull down his visor once more. The rest of the base is just a blur of empty rooms and desolate hallways. All in all the base might've had twenty members inside, not accounting for those not around. Remarkably empty, but I'd seen how many soldiers they'd lost to recover me. The more I saw, the more I felt that they were in need of saving, and they couldn't pull it off themselves. I headed back towards Ciel's lab only to find her in the command center looking up at the broken monitors. When she sees me walking towards her she clasps her hands. "Zero...?" Loved the chapter! o3o A good action is best followed by a cool down~ I liked him exploring and detailing the base. How he was acting by gathering info first was very much how the character actually behaves. I feel that - as a Reploid - Zero would actually be fairly practical in thought process. As human-like as they are, they're still technically robots, so they have a pragmatic view of things. Of course they feel emotions as well, so it's sort've conflicting.